Yarrow is another plant that you may very well already be growing in your gardens without fully realizing its potent medicinal properties. It comes in a variety of colors, and its delicate foliage and flower heads make it a beautiful addition to any bed. While I have a dedicated area for growing most of my medicinals, yarrow is nice enough to put up front with the rest of the flowers. But beyond that visual appeal lie a number of health benefits as well, so if you decide to grow it, you get a double whammy of goodness. 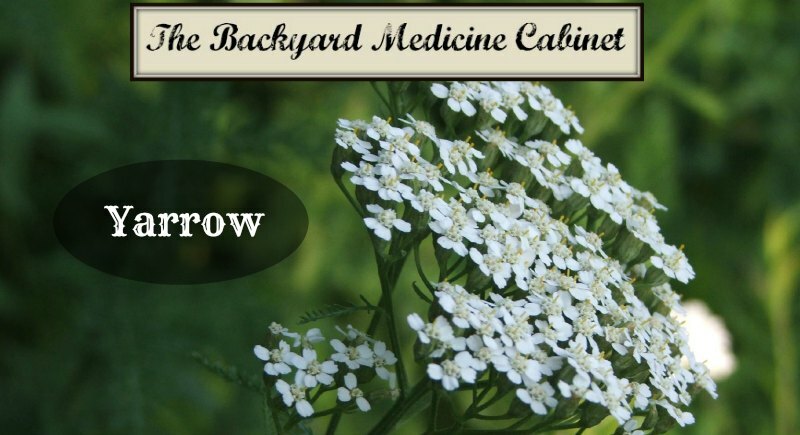 Yarrow is a perennial that can be found throughout most of North America. It’s distinguishable by its fine, feathery leaves and masses of small flowers atop a slender, somewhat hairy, stem. The flowers are traditionally white (which is probably what you should use medicinally), but ornamental varieties can now be found in just about every possible color. The plant is easy to grow, and will survive, if not thrive, in many conditions, though like most plants, it would be happiest with full sun and well-drained soil. It does spread fairly readily, though not so fast that you can’t keep up. It is perfectly content in a spot on the edge of the woods at our house. This plant packs a pretty punch: yarrow is useful in fighting colds, reducing fevers (it’ll make you sweat), and combating a number of skin issues such as rashes, itching, and swelling. The earliest uses for yarrow likely involved wound-healing, and it displays antiseptic and hemostatic (staunching blood flow) properties. It promotes both good circulation and good digestion, and can even help you relax and sleep better after a long day. 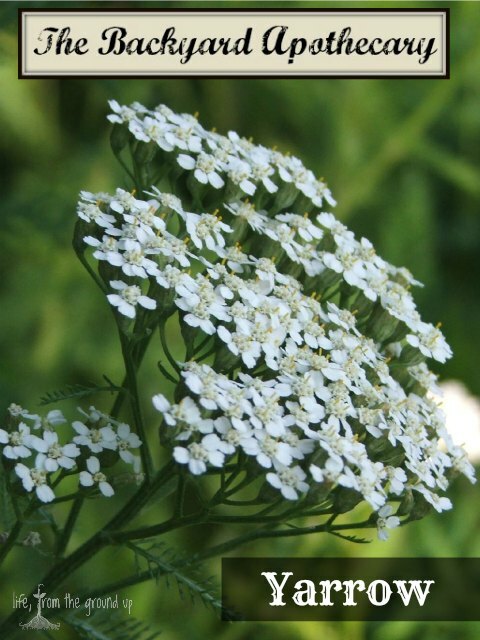 Because it can be used for so many things, yarrow can be used in a number of different ways. Both the flower and the leaf are commonly used, so harvest a bunch of each when it’s flowering. Make a tea and drink it for colds, fever, and allergies, or use as a body wash for skin ailments. Create a tincture and use for sleep, or again for colds and fever. Infuse it in oil for any kind of topical application. Use the leaves as a poultice for cuts, sprains, and even hemorrhoids. Or just chew on a leaf after dinner to help with gastointestinal distress – it’s a tad bitter though!